Another lovely day for a bike ride, so meet at the Rose and Crown at 10am for some gentle cycle with a tea and cake stop. Our early start ride is a Dave Howe route that we have ridden previously, but to shake things up we are going the opposite way this time. As usual, we meet at 8am to ensure we are back for lunchtime. The ‘normal’ 10am start is as below. We don’t have a nominated leader yet so please bring the route on paper or your GPS unit in case you end up being nominated navigator ! It looks like tomorrow morning has the best weather of the day, so meet at the Rose and Crown for this weeks tea ride. 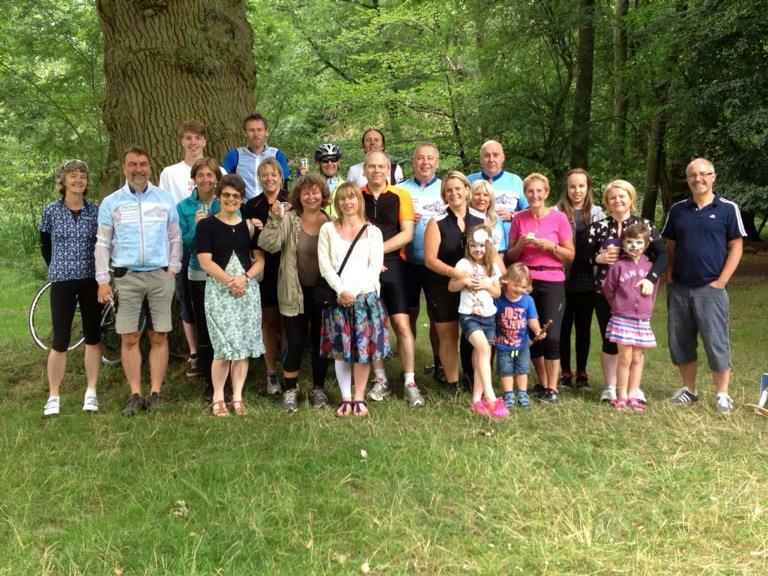 Sunday sponsored bike ride- there’s still time to sign up. This will be the main Velos ride this Sunday, so it would be great to see a good turn out to support this worthy cause. PLEASE NOTE START TIMES FOR THE RIDE YOU ARE INTERESTED IN. The format is simple- you pay £15 to enter, no sponsorship money to collect, and the Rose and Crown provide a BBQ afterwards. We need people to sign up if they are interested so that the Rose and Crown know how many to cater for. There are three different routes offered- 10 miles, 25 miles both 1:30 start times, and 56 miles 11 am start. At the moment there are about 25-30 riders signed up, so get your places booked.